The title is all I wanted to say. Now back to work. 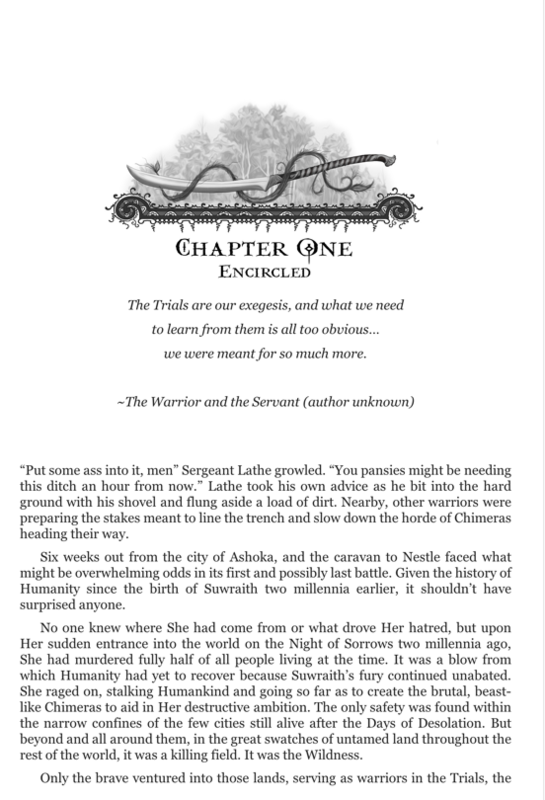 First draft of A Warrior’s Penance is finally finished! I know writing a book is all about the journey, but it sure is sweet when I get to write these two words. Whew! I’m a little numb right now. I still can’t believe I’m done with this story that’s occupied my mind for so many years. 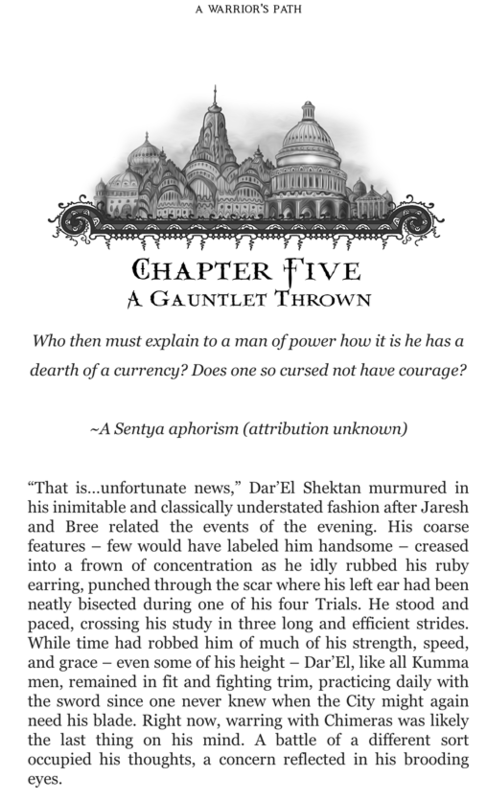 I also can’t believe it ended up being roughly 1550 words of a single story stretched out over three books. As for editing, I’ll get to that next year. The audiobook for A Warrior’s Knowledge is available! 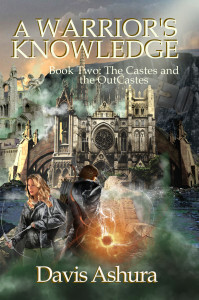 I’m very happy to announce that the audiobook for A Warrior’s Knowledge, book 2 of The Castes of the OutCastes, is now available through Audible.com and Amazon.com. And once more, Nick Podehl did an outstanding job on the narration. 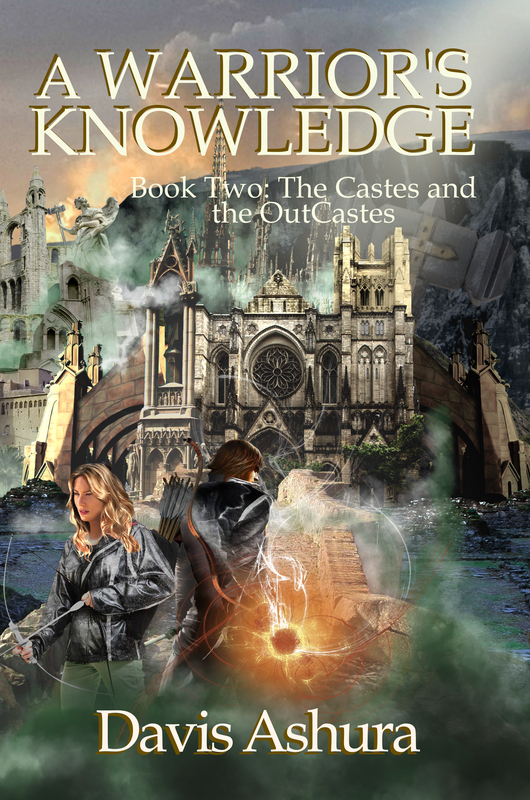 The audiobook version of A Warrior’s Knowledge (book 2) is done, but it still has to go through a final round of sound checks. I have no idea how long that will take, but I’m told it can be up to 10-14 business days. Then, it’s released on Audible, Amazon, and iTunes. We’re on day 3 today. Sigh. Jar Jar Binks: the secret Sith Lord Master to the Emperor…an idea so crazy it would be genius it was true. 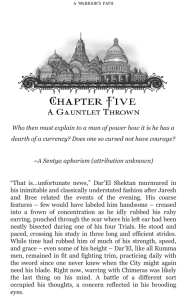 I’m updating the appearance of both the ebooks and print versions of books 1 and 2. The story itself remains the same, but the presentation of the words is so much prettier now. 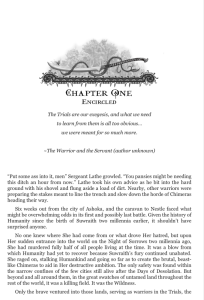 Here’s a glimpse of what the ebooks will look like. The print version is even nicer. They should be ready to go early next week. That reminds me: I should take the print version off the market for now. The audiobook for A Warrior’s Knowledge should go into production next week. Even better, once again, Nick Podehl is the narrator! Listen to what she says at the 5:57 mark. I wonder if Orson Scott Card knows she’s a fan of his writing. How the world should be featuring a whole bunch of fantasy realms. i’d take a one way ticket to that world as long as I don’t land in Westeros. Or Mordor. Or Lankhmar. Or…nevermind. I’ll just visit every now and then. That’s what books are for, right?